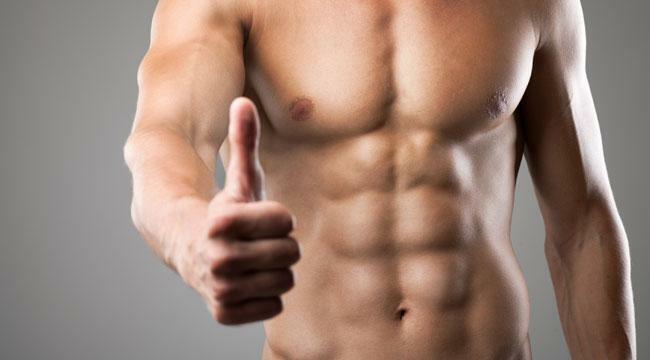 Some would tell you that there is no ‘secret’ to six pack abs. It is just a combination of hard work and a good diet. 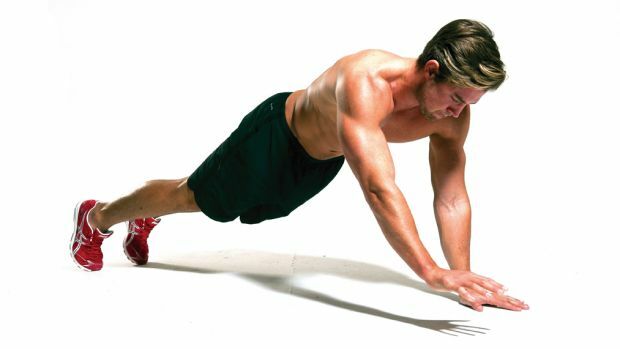 Secret 1: Start with Core Exercises– The old six-pack ab routine always started with crunches or sit-ups. Today, we know that a much more effective ab workout centers around core exercises. One of our favorite in the Walking Man Plank. Start from a standing position, then put your hands on the ground close to your toes and slowly walk out until you are stretched as far as you can go. Then, walk back in, and do it all over again at least four to six more times. Secret 2: Work Harder… Not Longer– It is a mistake to assume that long ab workouts are the key to success. In fact, it is not the amount of time you work, but the amount of effort you put into two to four sets of core training before moving onto to your regular scheduled workout. Secret 3: Scheduled Workouts Are Better Than Running– I need to hit the treadmill is a common phrase after gaining a few unwanted pounds. However, you would have to maintain a 6-minute mile pace for the duration of that run to burn as many calories as you would from a good solid weight training routine in the same amount of time. If you really want a 6-pack, forget the running, and just get into the gym on a regular basis. Secret 4: The 7-Day Workout– I’m not going to lie to you, getting a 6-pack is not easy. It is going to take a lot of dedication, and that means a 7-day workout schedule. The typical 7-day routine is split up with legs on day 1, chest and shoulders on day 2, back on day 3, arms on day 4, and then repeats itself with one additional leg day, one additional back day, and one additional chest and shoulder day. However, don’t forget to take a few days off whenever you feel you really need to. Overtraining is worse than undertraining when it comes to a healthy physique. Secret 5: Cardio– If you only have enough time for either your scheduled workout or a jog around the neighborhood, by all means, go with the workout. However, the most effective 6-pack routine will have a combination of workouts and cardio sessions. In order to drop your fat level below the 10 percent mark, which is just beginning to get to six-pack status, you need to do at least 50 minutes of cardio six days per week. However, keep in mind that you can always incorporate cardio into your regular workouts by working two different muscles (i.e. chest and shoulders) without rest in between. Secret 6: Get Creative– Mike Chang knows all about how to keep your ab workouts short, productive, and creative. The below video offers one such idea of combining the ‘bicycle’ with a ‘jackknife’ for a quick blast that will not only burn calories through the muscles worked, but also the repetitive (cardio) motions.